As the pioneer of heart rate monitoring and sports wearable technology, Polar has been making heart rate monitors since before it was cool (1977 to be exact).  Here you’ll find the latest Polar news and announcements so stay tuned! What was previously known as Android Wear 2.0 is now Wear OS by Google™ and available for the Polar M600 GPS smartwatch. Find out how to get your hands on it. Are you a proud owner of a new Polar product? Read our guide on how to get started. Beat the holiday stress and find new ways to relax with the Polar Unwinderator, our quick test that generates break activity ideas for the holiday season.